eGroov AWD electric scooter rolls as an all terrain!!! eGroov AWD electric scooter is an all terrain road scooter that can roll through forest, beach and the city. Did you think that scooters were one of the rear means of transportation that are still immune to the ‘going green’ phenomenon that took over the world? Well, think again because it seems that nothing can be immune to such an ideology. This is anything but a disadvantage. In fact, it’s truly great that more people come to realize that air pollution is a serious issue and that the whole globe is working on fixing the same one. Thus, vehicles that emit less gas are more than welcome in our society today and that’s where the eGroov fits in the whole picture. 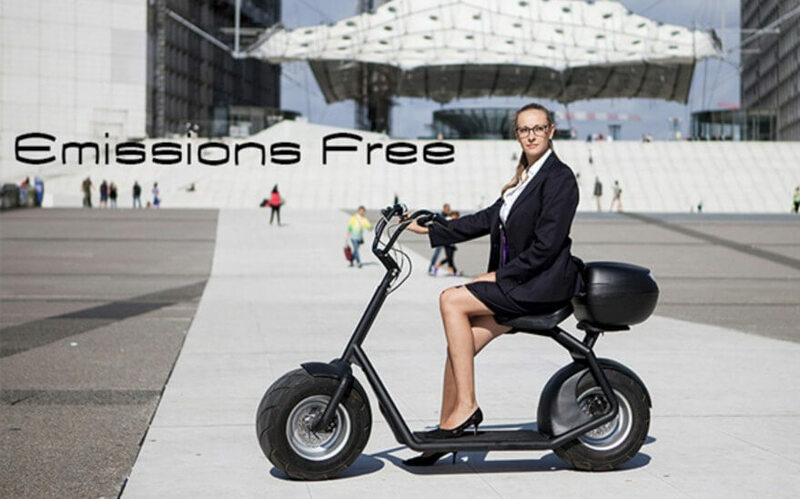 It’s not that this is the first scooter or vehicle that has been build with the ‘going green’ phenomenon in mind- it’s just that the popularity of electric vehicles in general is due to that phenomenon. However, eGroov is the first AWD electric scooter and what’s really characteristic about it is that it is designed only by using premium existing parts. Along with the AWD system it has battery range of up to 24 miles. The maximum speed that this scooter can reach is 15 mph. All in all, eGroov is a unque transportation device and it is the perfect one if you’re the type of person who enjoys short distance ‘journeys’. This eGroov scooter is fitted with adjustable handlebar to ensure driving comfort and on top of everything, this thing is modular and gives you options on what to fit on it. From baby seats to top cases you can choose whatever comes to your mind to suits you best. For those who are concerned with running out of energy, you should now that it doesn’t necessarily be a serious problem as charging them is fairly easy. You can plug in the eGroov directly into a wall socket or take the batteries out and charge them anywhere else. If you’re not a fan of walking but, driving a car it a bit too much for short distances that this is probably the eGroov scooter that you need to have. eGroov electric scooter video below! One Of The Best Custom Suzuki Motorcycles, The Nozem 1100 GSXR! Ice wheeled bike – First in the world riding on a glacier!!! 2017 Audi SQ7 TDI Debuts With An All New Electric Compressor!